Yep, another adorable Coffee Cozy added to the shop. Ahhh...just look how cute! Grey with a Red Heart - perfect for the holiday season. Ahhh, this time of year is filled with special coffee drinks and that makes me happy! 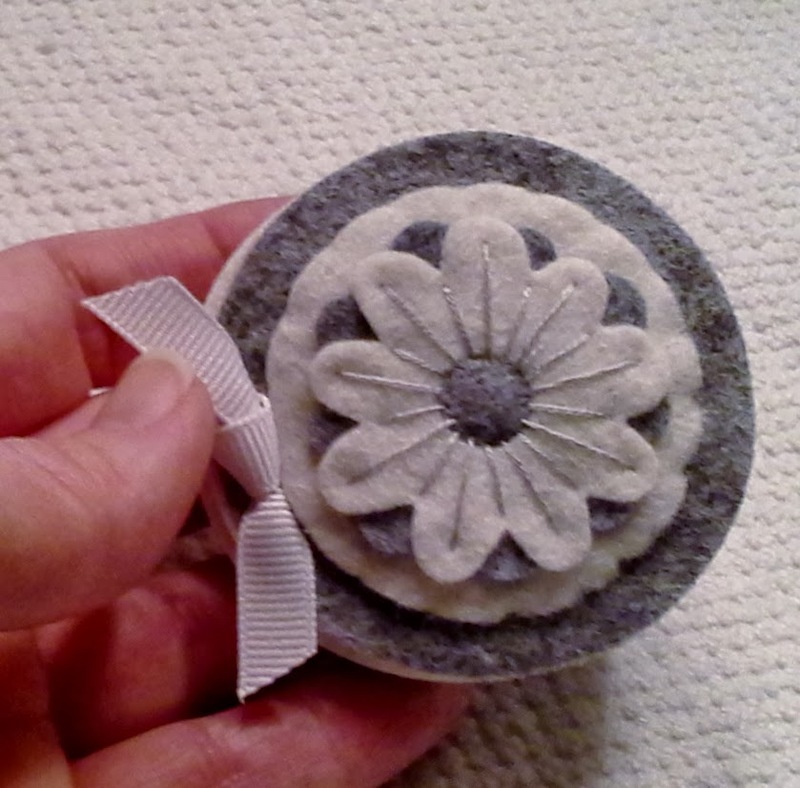 This is a new Cozy for the shop ~ Grey with Cream Heart ~ so precious! I put some Felt Needle Books in the shop yesterday. A fun gift topper or stocking stuffer for the lady who loves to sew. I can't live without mine ~ it holds my long pins, short pins, fat needles, skinny needles, threaded needles, safety pins and stuff I don't want to lose...! Hope your holiday season is filled with fun and laughter. Fun holiday cozies for your coffee cup ~ they will put you in the mood to shop, or at least make you smile while you are walking thru the mall! I hope your holidays are filled with joy and peace as you spend time with the ones you love. I have been working on a few new projects to add to the shop. 'Gift tags' are always a fun thing to add to the top of your package, not only for practical purposes, but to add a little bit of whimsy too. 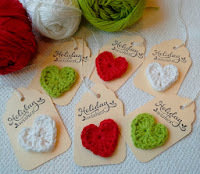 These Crochet Holiday Heart Gift Tags are an opportunity to do a little something special.